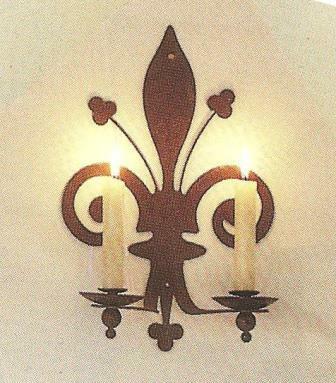 An Unusual & striking Gothic wall sconce, in the shape of a large Fleur de Lys. Made from steel. It can be finished in several ways, from gold /silver leaf or a painted finish, plain or rusty steel, etc.. 2 screws secure this to the wall. Made to order.